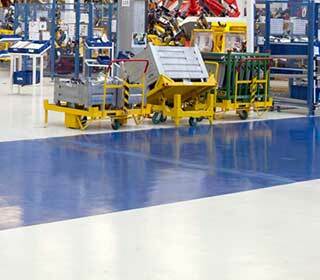 Mesa Coatings supplies industrial floors that are finished with a synthetic floor system (floor coating). 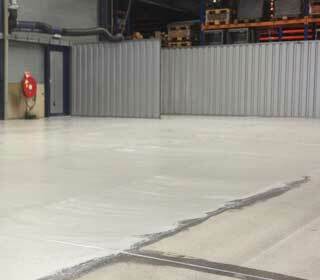 The industrial floors must of course be able to take a beating and be suitable for heavy loads. It does not matter whether it involves mechanical or chemical loading of the floor. A floor coating is a new top layer over the floor. This top layer protects your floor and is easy to maintain. In addition, our floors are seamless, this creates a beautiful and a sophisticated look. The floors are strong and hard-wearing (even with chemical loads) and there is a suitable system for every application. An industrial wall coating provides protection for your wall surface. In addition, the wall is easy to clean and dust-free, hard-wearing and durable, very cost-effective and very resistant to chemicals. With a floor coating and wall coating, we create a modern, sustainable and low maintenance environment for you. Mesa Coatings works with various materials. This means that there is a suitable system for every application. The style of the coating depends entirely on your needs and requirements. The floor coating and wall coating of Mesa Coatings is not only competitively priced, but also top quality. We make every wall and every floor durable, easy to maintain and resistant to moisture and chemicals. We supply our floor coatings and wall coatings in a wide range of colours or colour combinations. Of course you don’t only have the choice of colours. You can also opt for a transparent coating, so that you retain the original colour of the substrate. Every business floor or wall has its own purpose. Mesa Coatings has developed various floor coatings and wall coatings to meet these specific requirements. At Mesa Coatings you can choose from various types of coating material. The choice of material depends on various factors. 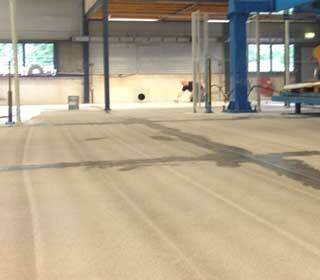 Choosing the right industrial floor requires appropriate expertise. Mesa Coatings is happy to help you with thorough advice. With our knowledge we provide our customers with good and reliable advice. We advise companies in the agricultural, automotive and industrial sector. We also provide advice to Retail organisations, offices and companies working in the food industry.